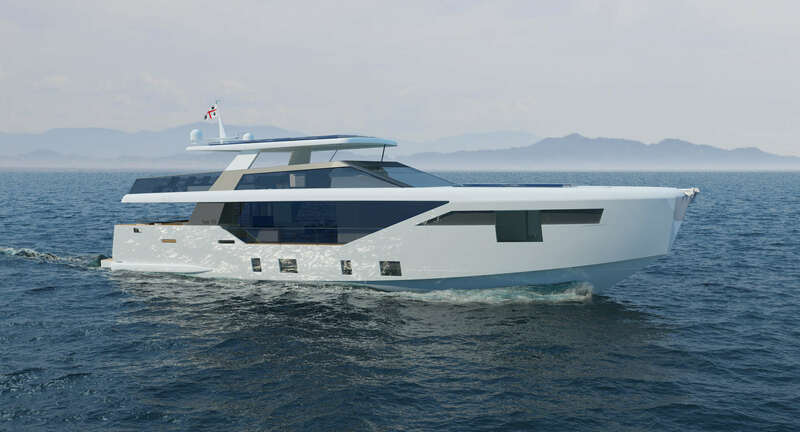 Luxi 95 is a new wide body boat concept with a fast displacement hull. Flowing spaces, wide side windows, endless light and a peaceful ambience, achieved with architectural expertise and innovative technology. Equipped with the SYT (Solar Yacht Technology) which allows the propulsion and the on board utilities through the directed solar energy and represents an unconventional design element, working as a sun shading in the ownersuite and in the main deck. The impressive living concept is the result of a real construction revolution: a huge dinette with a living capacity much higher than other yachts of the same size and an elegant owner suite with private SPA, spacious bathroom, and terraces on the sea.